Hi! Happy weekend everyone and welcome back. I hope you are having a relaxing weekend and are doing okay. Have you ever wished to look great on pictures? Do you see yourself on photos and think that your smile could be better? If that so, then today’s article is just for you! 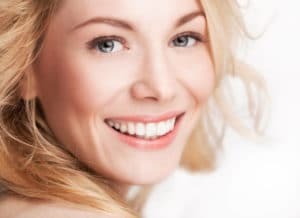 We can improve how well we look on pictures just by improving the way our smile looks! Smiling in pictures is really important. It makes us look more attractive, happy and confidence. Not only smiling for a picture is important, smiling at people is pretty important too. It can land us a job, make new friends, makes us feel and everyone around us better overall. That is why I am going to share some tips to make your smile look better. Before posing and smiling on pictures it is important to do some preparations first. We have to make sure your smile look amazing so you can proudly show it to the world. And the first step for that is to have a really good dental hygiene. You know, the bread and butter of dental, brushing your teeth, using dental floss and mouth watch. If you read our articles often, you already know what it takes to have a beautiful smile. But in case you did not know and are new to our blog (welcome, by the way) you have to brush your teeth at least twice a day. After that make sure to complete the work with some dental floss and mouthwash to rinse the food debris. This way your smile will be clean and white as ever, you will be turning heads in no time. But that is not all, you need the help of a dentist to achieve the perfect smile. Going to the dentist every 6 months for regular checkup and cleaning is the secret for a healthy smile. Many patients fail to see that if you are ducking your dental routine and you dentist’s visit your teeth will pay the price. So, please come to see us and Dental Solutions Los Algodones so you can save money and gaining a beautiful smile in the process that will look fantastic on pictures. The last preparation tip is to smile to you a lot. By this I mean to pose in front of a mirror and practice your smile, or you can use selfies for this too. You will notice that depending on your type of face, you factions, there are certain styles of smiles that will look better for you. The next thing you want to do is to find light that suits you. You know, the clearer the picture, the better. And the more natural the better, a picture under the right angle of the sun can flatter your face and smile. You know now some of the tips and secrets to make your smile look awesome in pictures. But there are some more tips for you, and one of them is whitening. To make sure that your smile always look white on pictures, use some whitening kits to maintain it. If you go to the dentist regularly and practice a good oral care routine you can skip this. But for some people this can really improve their smile. Aside from this, there is not really that much else todo. But if you are interested in saving money in dental, come to Dental Solutions. Located in Los Algodones Mexico we are one of the best clinics in town, with many years of experience and with a staff fluent in English ready to help your smile shine again!